2- GSM-R, a radio system for providing voice and data communication between the track and the train, based on standard GSM using frequencies specifically reserved for rail application with certain specific and advanced functions. 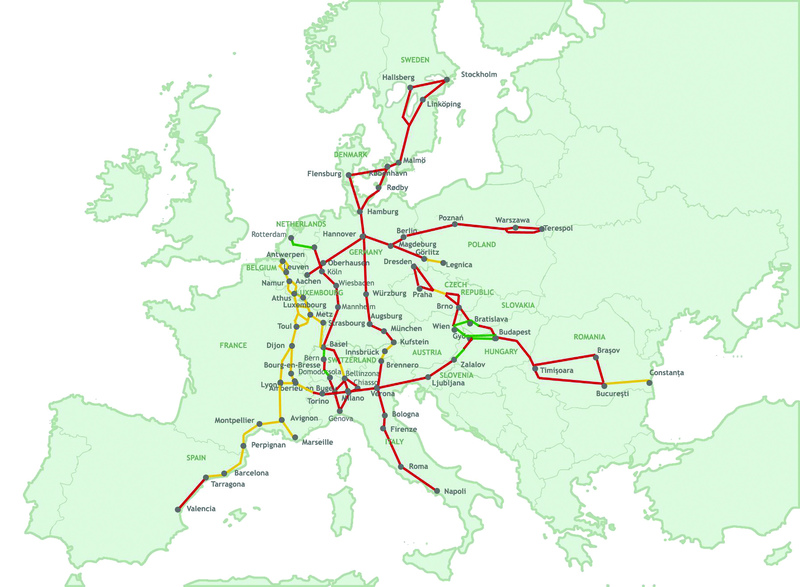 The European Railway Traffic Management System (ERTMS) is a major industrial project developed by eight UNIFE members – Alstom Transport, Ansaldo STS, AZD Praha, Bombardier Transportation, Invensys Rail, Mermec, Siemens Mobility and Thales – in close cooperation with the European Union, railway stakeholders and the GSM-R industry. ERTMS aims at replacing the different national train control and command systems in Europe. The deployment of ERTMS will enable the creation of a seamless European railway system and increase European railway’s competitiveness. As a unique European train control system, ERTMS is designed to gradually replace the existing incompatible systems throughout Europe. This will bring considerable benefits to the railway sector as it will boost international freight and passenger transport. In addition, ERTMS is arguably the most performant train control system in the world and brings significant advantages in terms of maintenance costs savings, safety, reliability, punctuality and traffic capacity. This explains why ERTMS is increasingly successful outside Europe, and is becoming the train control system of choice for countries such as China, India, Taiwan, South Korea and Saudi Arabia. By making the rail sector more competitive, ERTMS helps to level the playing field with road transport and ultimately provides significant environmental gains. The ERTMS “levels” define different uses of ERTMS as a train control system, ranging from track to train communications (Level 1) to continuous communications between the train and the radio block centre (Level 2), and moving block technology (Level 3, which is in a conceptual phase). Overlay to Existing Signaling System. Train Integrity & Position by Track Circuit. No more Trackside Signals Required. Movement Authorities through GSM-R.Train Position via Eurobalise. Movement Authorities through GSM-R.Authorities through Eurobalise.